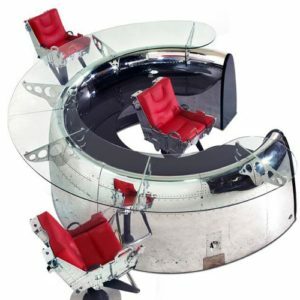 The Stearman Wing Conference Table is a brilliant example of what MotoArt does – contemporary furniture design intertwined with aviation history and lore – all blended to create masterpieces suitable for museums but built for office spaces. 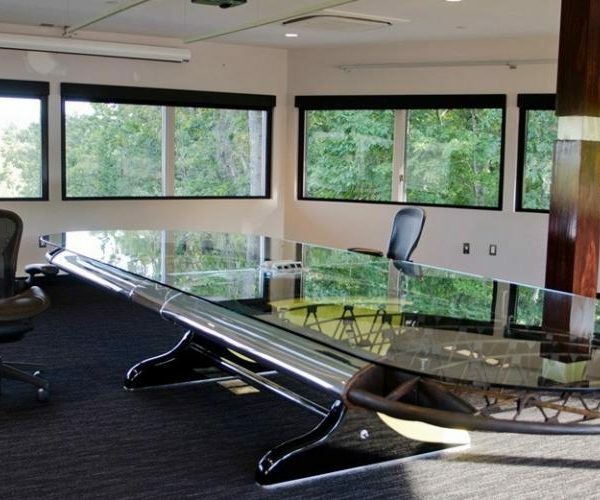 This handcrafted custom-made conference table is a jaw-dropper. 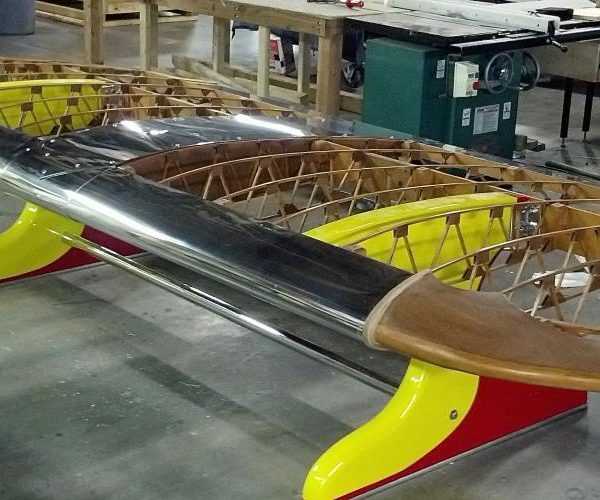 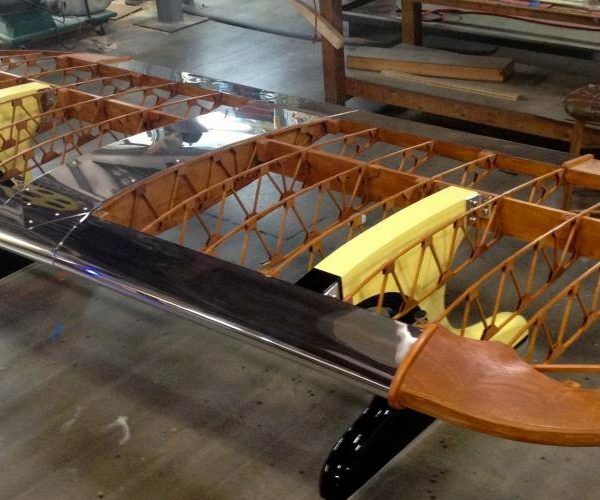 Once the wing of a Stearman biplane is now a conference table that is bold, commanding and simply incomparable. 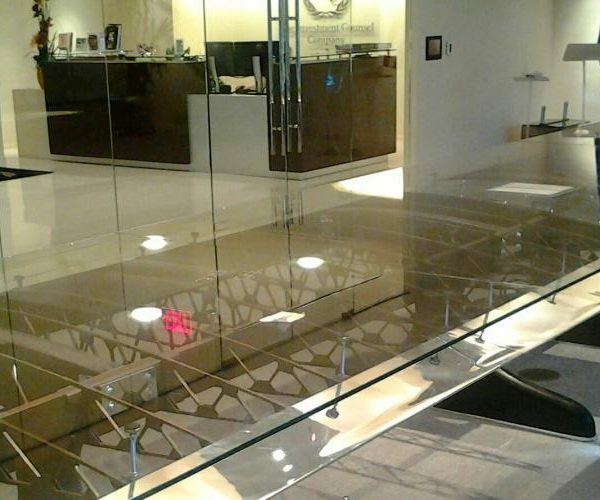 Designers Donavan Fell and Dave Hall’s use of glass, wood and metal in this creation is impeccable. 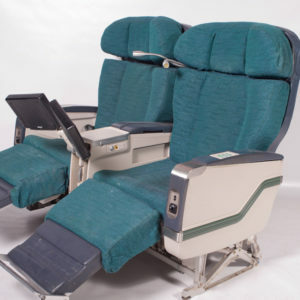 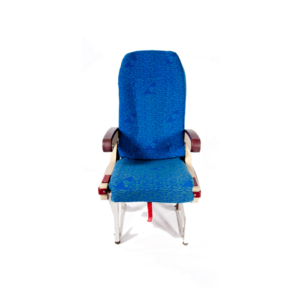 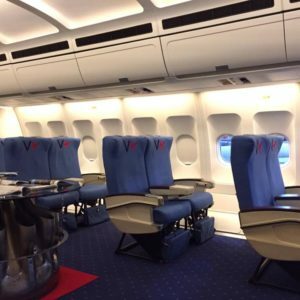 An innumerable amount of man-hours went into crafting this magnificent example of wing-furniture and no compromises were entertained en route to the level of excellence this piece achieves.